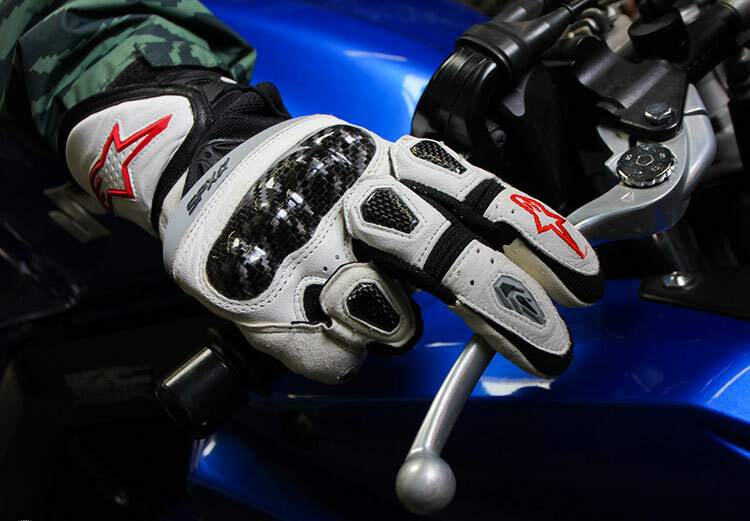 Should bikers buy riding gloves? Casual bikers would have had this question in their mind – Should I buy riding gloves? Well, the answer is Yes and No. It all depends on the rider’s choice. While riding gloves offers great benefits to the rider, it has its own disadvantages. This might be a primary reason why you considered buying riding gloves. Cold weather conditions makes your fingers and hands very numb. You would have experienced how difficult it is to grip on accelerator and front brakes when you are riding through heavy rains or extreme cold weather with bare hands. Buy Riding Gloves and save your fingers from cold weather, this also provides a better handle grip in extreme weather conditions. Leh-Ladak trip? Riding Gloves is a Must! Never even imagine, you could travel long distance without any gears. Gloves is a very important riding gear which you should never forget during your long road trips. It offers great comfort and protects you from excess strain which you put up on fingers and hand during your ride. Buying a riding gear isn’t enough – you will have to wear it, well and you will have to carry it wherever you go. While scooters like Honda Activa have added space to store your stuff, motorcycle bikes shall not have such storage compartments. Our experience of carrying the gloves under the back seat of Suzuki Gixxer resulted in blockage of Air Filter. So make a plan how you want to carry the gloves along with you, when you are not riding. Having an extra bag to store these gears would help. While wearing gloves feels comfortable and great for long rides, it might not be cool for shorter city rides. When you are headed for weekend shopping or during small rides, wearing and un-wearing gloves becomes a tedious task. Every time you start your bike, you are required to put on your fingers, well all the 10 fingers! As the gloves occupies your hand, it would be increasingly difficult to pick the phone from pocket to answer the calls. The touch phones cannot sense your glove touches and you would realize the pain of wearing gloves at that moment. So if you have some important calls on the way, make sure you have the headphones tied to your phone OR better do not wear gloves.